The return of Jane Eyre to Bristol Old Vic for a seventeen night run comes as something of a double celebration. Firstly, it comes as part of the theatre’s 250th Anniversary celebrations which mark the Old Vic as the oldest working theatre in the English speaking world, celebrations which are being appreciated with the staging of productions from each of the four centuries in which it has existed. Secondly, it presents a homecoming for one of the theatre’s finest recent productions. 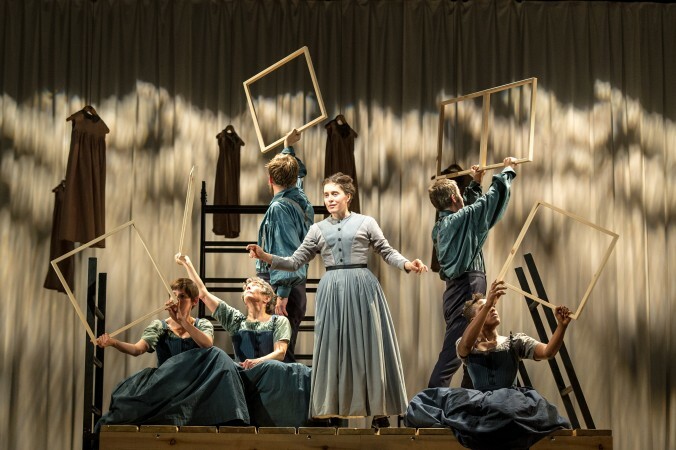 First staged at the Bristol Old Vic in 2014 in two parts under the directorship of Sally Cookson, Jane Eyre transferred to the National Theatre and the two parts became merged into a single whole. Charlotte Brontë’s Jane Eyre is of course a classic of English literature, and was revolutionary as a novel in its gothic nature, as well as for its exploration of classism, sexuality and proto-feminism. It follows the tale of Jane, a determined and spirited female protagonist – especially in the context of the Victorian age – from her beginnings as a destitute and abused orphan through to her education, continued oppression and romantic entanglements with her employer, the Byronic Edward Rochester. The return of an acclaimed play to its place of origin can, of course, be something of a double-edged sword. 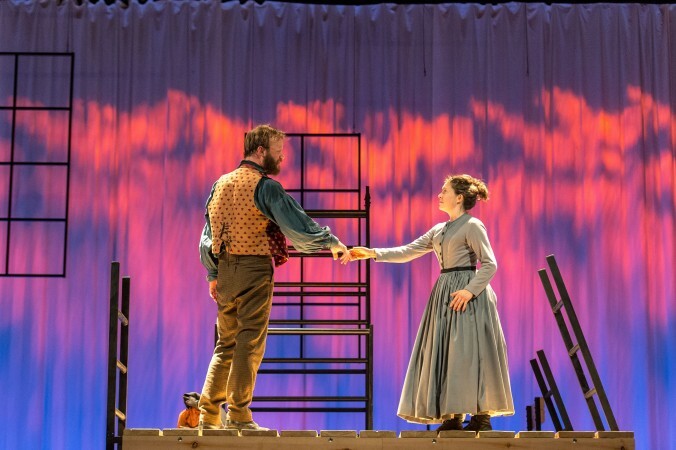 While the first staging of Jane Eyre in Bristol was both a critical and popular success, bringing it back just two years later, albeit in a slightly refreshed format, could also bring a case of overkill. The city’s theatre-lovers may abstain from watching a play they have seen before, the combination of a well-known story and a repeated production proving less than enticing. However, any worries along these lines are swept away by what is truly a triumphant homecoming. The well-honed cast are razor sharp. Felix Hayes as Rochester is a muscular, swaggering and forthright presence. Madeleine Worrall, meanwhile, carries all the bowed servitude of Jane perfectly, a ‘plain’ and ‘gentle’ character who is nevertheless fearless in her pursuit of liberty. What sets this production apart, as is so often the case at Bristol Old Vic, is the musical accompaniment. Benji Bower has done wonders to compose a thrilling and heartbreaking soundtrack. Whether creating a rhythmic coach journey – complete with a “piddle stop” – or an accompaniment to Rochester and Jane’s more intimate moments, the music is evocative and highly effective. While there is perhaps one mis-step in the awkward re-hashing of Gnarls Barkley’s ‘Crazy’, Melanie Marshall – who doubles as the haunting presence in the loft at Thornfield Hall – showcases an incredible and beautiful other-worldly voice. Under Sally Cookson’s directorship, this is a production of Jane Eyre which takes transforms the sprawling novel into a visual spectacle of great verve and dynamism. When the romantic denouement comes, it is a heartbreakingly poignant moment. Tagged bristol old vic, jane eyre, national theatre, sally cookson. Bookmark the permalink.